There are three critical areas to focus on when establishing an investment program. These are the development of an investment policy statement, establishing strategic asset allocation targets and policy, and the selection of investment managers and asset custodian. Although all of these activities are interrelated, all should be approached from an individual perspective when the investment portfolio is initially being structured. During the process of structuring the portfolio, expectations in terms of the desired outcome from the portfolio management process should be clearly delineated. Unrealistic or inconsistent expectations will lead to poor management decisions. Concord will draft an investment policy statement customized to meet specific client needs. This IPS is the governing document for the investment program and for oversight of the investment portfolio(s). Concord will review the investment policy statement on a regular basis. Updates or adjustments may be warranted if significant changes have occurred at the organizational level or within the general investment market conditions. Concord takes an education-centric approach to servicing our client relationships, as our view is that ongoing education and training is a necessary component of fulfilling one’s fiduciary obligation. Ongoing education is provided to the board & committee members of our clients. Topics covered will range from timely investment topics to basic responsibilities of investment fiduciaries. Every client has access to Concord research that is produced, but more importantly we work with our clients to establish a customized education plan that meets their needs. In addition our research team produces ‘briefs’ that we provide to clients on pertinent and important topics. Concord regularly participates in conferences and has been a featured speaker on both fiduciary and investment issues. We have over 25 years of experience in assisting clients in setting, implementing, and maintaining their social guidelines. Concord’s approach starts with assisting clients in designing responsible investing guidelines that match their social values which can be practically implemented. With added compliance constraints, most investment managers will no longer interpret social guidelines. Guidelines need to be specific. 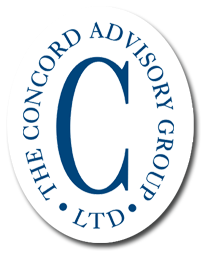 Concord has the ability and experience to establish client-specific requirements and avoidance lists. This process is supported by our use of MSCI ESG impact monitor. Concord can assist clients in establishing an operating process that meets industry best practices. Effective decision making protocol is integral to successful investment programs. Our team spends a good deal of time with the our clients evaluating and reviewing objectives, as it is crucial to establish the appropriate planning and policy in order to meet long-term goals. By combining the financial position of your organization with a customized asset allocation approach, the investment program takes the form of a coordinated strategic investment plan – tied to organizational objectives. This integrated approach allows Investment Committees and Boards to understand the full financial picture as they make financial decisions. Results: Consolidated performance reporting and policy compliance. Analysis: Explanations of the factors driving results and descriptions of areas of concern. Recommendations: Clear concise advice on suggested courses of action. Concord's OCIO oversight services are available via a project-based engagement or on an ongoing basis.